Simple toolbox for working with wirecolors based on various criteria including material diffuse color, average texture color and filters for node names and classes (for nodes wildcards and hierarchies are supported and encouraged). I wanted a tool to Help in creating FinalRender renderelements fast. This is for gMax. 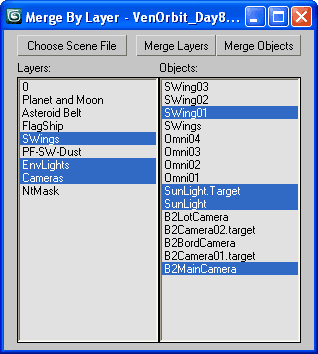 It won't work right in 3ds, and 3ds already has layers capability. This is a macroscript which opens a dialog window. Assign it a hotkey (I suggest Alt-L) and/or a menu item (I suggest Tools), toolbar button, or whatever you like. It lets you affect selection, transparency, visability, and freezing of groups of objects. 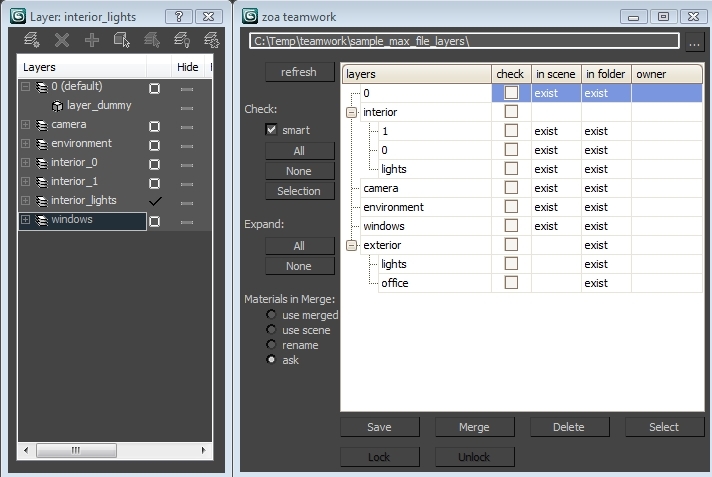 This MAXScript was coded to add some easy to use and quite needed layer management tools. 3DS MAX lacks some very simple to program commands that will allow the user to work much quicker than by using the layer manager.